Science Minister Ya'akov Peri (Yesh Atid), who formerly was head of the Israel Security Agency (ISA or Shin Bet), stated Friday that the search for the three teenagers abducted by Hamas terrorists last Thursday may last months - or even years. "Just as the announcement and deciphering could come in an instant, there's also a possibility that can't be negated that the search will extend a long time," Peri told Galei Tzahal (IDF Radio). Peri noted to Kol Yisrael radio that first of all a solution to the disappearance of the teens must be waited for, and that Israel must not sit in negotiations with a Fatah-Hamas unity government that "is based on a murderous terror organization." At the same time, Peri said in the end negotiations will be needed to reach a "peace arrangement," claiming it as an existential interest of Israel. It should be noted that while Hamas's unity agreement with Fatah has raised great objection from many, Fatah itself contains a recognized terrorist organization, the Al-Aqsa Martyrs' Brigade, which in a joint statement with Hamas and other terrorists groups on Tuesday called Israel a "racist occupier that only understands the language of force." 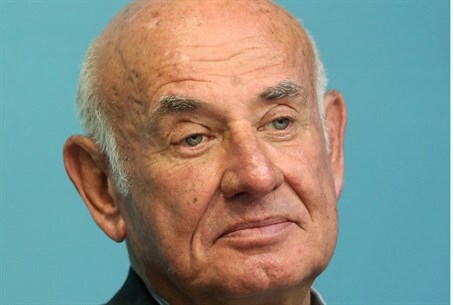 Senior Fatah official Jibril Rajoub likewise justified the kidnappings on Thursday, saying "after 20 years of negotiations it's understood to us again that kidnappings are the only language that Israel understands. It's clear that that's the only path to free our prisoners from jail, whose numbers grow each day." A senior IDF official said that as of now, roughly 1,100 sites have been searched in the operation to rescue the teens, and that the army continues its search despite a significant rise in attacks against the soldiers as they search. Thursday night 25 more terrorists were arrested. Peri's words warning of a long haul in the search for the teenagers stands in sharp contrast with statements by officials in the defense establishment, who said Thursday that the operation will likely take between a few days and a few weeks. Nevertheless, Defense Minister Moshe Yaalon called for patience and security forces continue to hunt for the boys and their kidnappers. "We are continuing the operational and intelligence effort, in a complex operation that is not limited in locations and in time, as far as we are concerned, and this requires much patience," Ya'alon said on Tuesday.